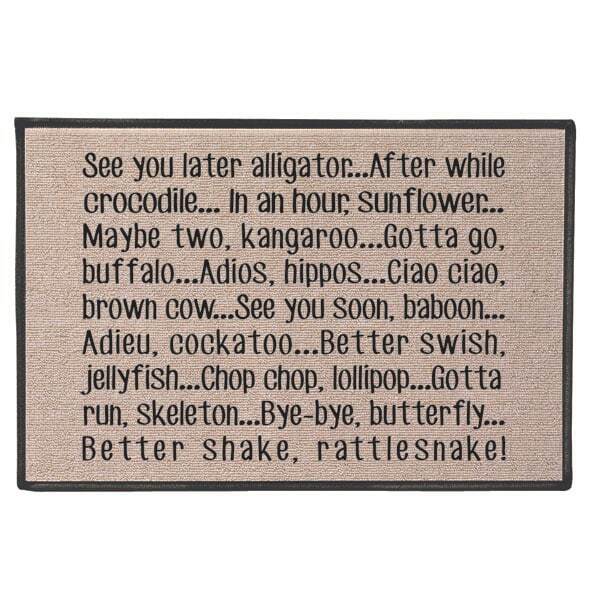 Everyone knows the alligator and crocodile parts; it's fun to continue with farewell phrases like "Better swish, jellyfish!" and "Gotta run, skeleton!" 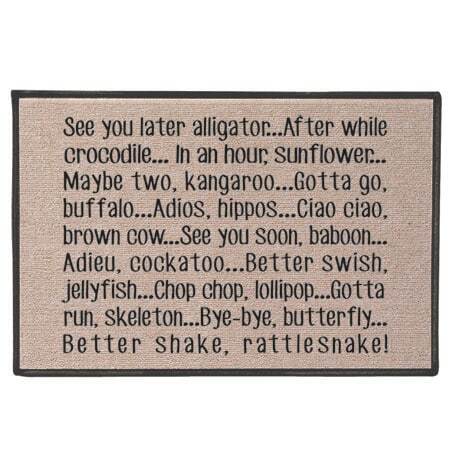 Goodbye Doormat is durable 100% Olefin backed with synthetic jute. To clean, hose down. 27" x 18". Printed in USA.